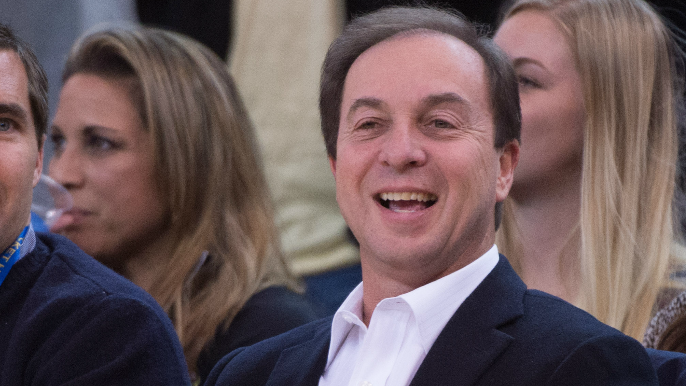 Joe Lacob has reason to smile. His Golden State Warriors are worth $3.5 billion according to Forbes’ latest valuation that dropped on Wednesday. That makes them the third most valuable franchise in the NBA behind the New York Knicks ($4 billion) and the Los Angeles Lakers ($3.7 billion). The Warriors have the largest five-year gain in valuation of any NBA team, increasing in value by 367 percent during that time after being purchased for $450 million, a growth of over $3 billion. Golden State’s four consecutive trips to the NBA Finals likely have something to do with that. As pointed out by Marcus Thompson of The Athletic, Stephen Curry has made about $78.7 million, Klay Thompson about $55.2, Draymond Green $47.8, and Kevin Durant $51.5 during that same span. Forbes predicts that the Warriors will be at the top of the total valuations list once they complete their move into the Chase Center next season.